World Champion in Arm Wrestling! Harish Varma, the only Para-Arm Wrestler that we support as of today, just won 2 medals at the World Arm Wrestling Championship! 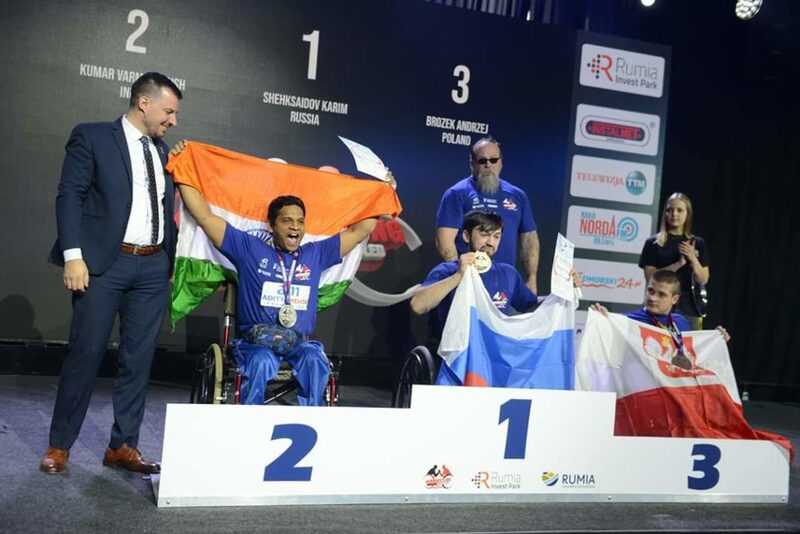 Harish fought his way to a Silver Medal in the Left Hand Category, while he was an absolute bulldozer in his campaign that led to a GOLD medal in the Right Hand Category. Harish is excited to come back to India and train Para-Athletes at our upcoming National Training Camp. Subramanian Balachandar has just moved forward and proven yet again that hard work and consistency bring in the results. He finished the Bangkok Cup 2018 with a silver medal in the doubles category, and bronze in the singles.Congratulations, Bala! Indrajeet Pandey, from the Central Reserve Police Force : CRPF, had a stroke of bad luck when the wheel on his wheelchair broke in between his match. But he is taking the bad luck like a champion, as he knows that there will be plenty more opportunities in the future to prove himself. Anand ended his campaign in Australia with a bronze medal in the Men’s Singles category. Is he happy? Kind of. Is he ecstatic? Not really. Which only means that he’s got better performances coming up in the future! 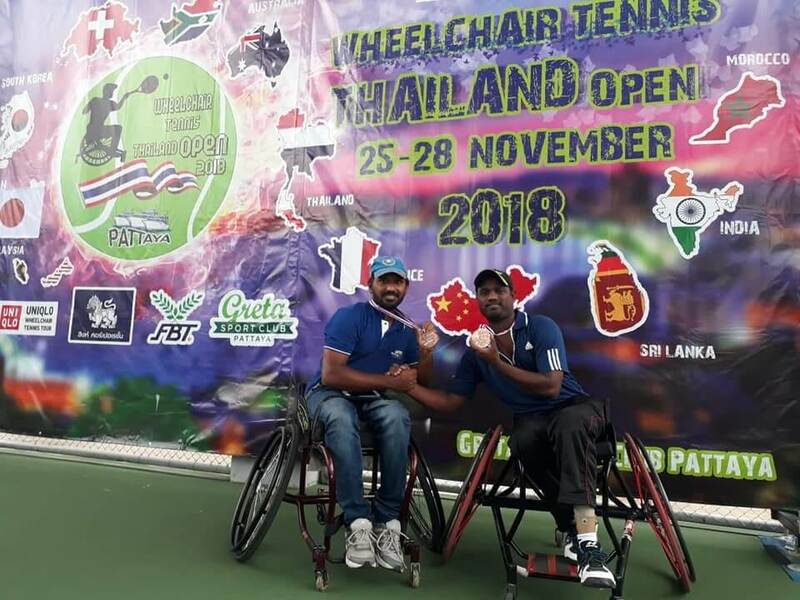 One more bronze medal at doubles in Thailand Open Wheelchair tennis 2018 held in Pattaya between 25th and 28th of this month! Bala played with his partner Shekar Veeraswamy against Thailand players in the semis and lost a thriller of a match, the scoreline reading 6-2, 6-7, 9-11 with a third set super tie breaker. 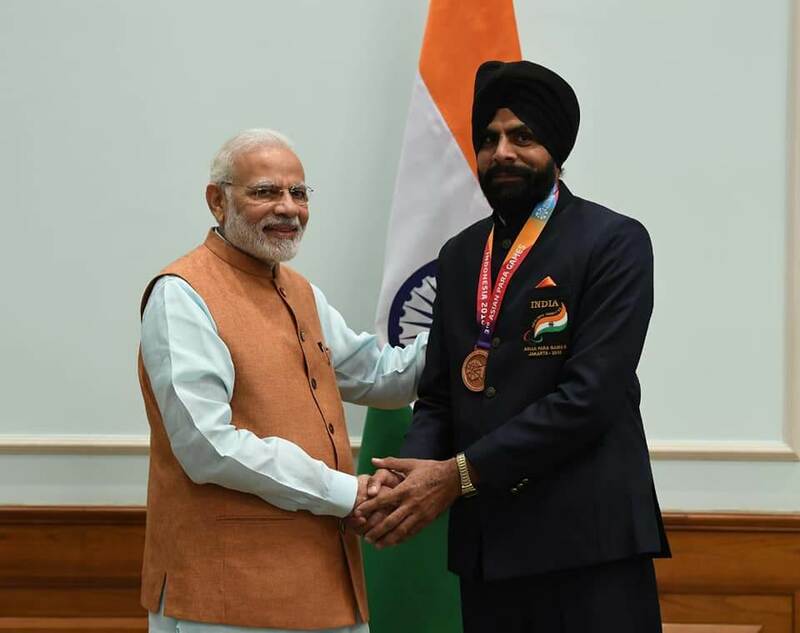 History was made at the Asian Para Games 2018, when Gurlal Singh from the Border Security Force won bronze in his Para-Cycling event. He becomes the first Indian ever (able bodied or otherwise) to win a medal in a cycling event at the Asian Games level. Chirag Baretha joined team AMF at our most recent presentation ceremony. 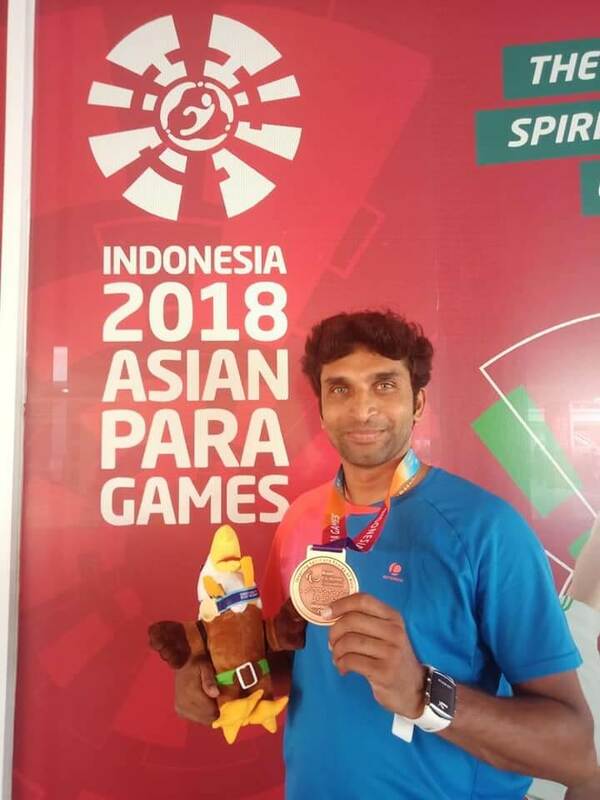 In Jakarta, he played Para Badminton for our National Team at the Asian Para Games 2018, and brought us our first medal! Chirag was part of a six member squad that represented us in the team event, and brought home a bronze medal. AMF is incredibly proud of Anand Kumar, who has been a consistent performer at the international level for the past decade. He secured a bronze medal at the Asian Para Games 2018, and added to India’s biggest medal haul in the history of the games. Subramaniam Balachandar is a pharmacologist who works a 6 pm to 3 am shift voluntarily in order to accommodate time for practicing his passion- wheelchair tennis. After finishing his shift at 3 am, he heads out to train in the morning by 8:30 am each day. And the results speak for themselves! 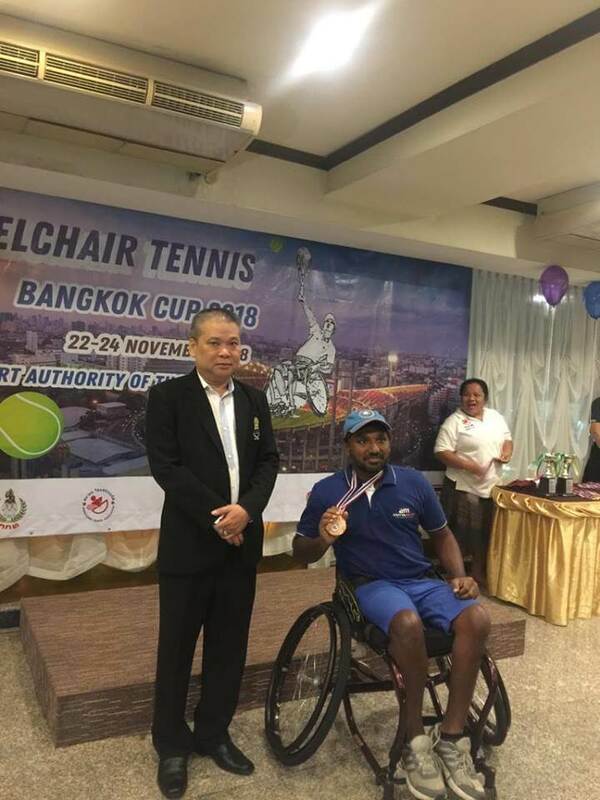 In Chennai, at the Marina Open Wheelchair Tennis AITA Ranking Tournament, Bala blazed past all his opponents, including the National top-ranked player in his final match to win two titles. He was crowned the Champion in the singles category as well as doubles, along with his doubles partner Karunakaran Karthik. His hard work, dedication, and determination are paying dividends, and the Aditya Mehta Foundation is proud to be associated with him. We had provided Bala with a sports wheelchair worth Rs.3.5Lakhs, which is what he uses while training and competing. The Indian Para Badminton contingent was at it recently in the Uganda Para Badminton Championship 2017. Two athletes who are supported by us at the Aditya Mehta Foundation brought more laurels to our country by adding 3 more medals to their already stunning tally. Manoj Sarkar won a gold medal in the singles category, while Anand Kumar won a silver. The two then paired up to win a gold in the doubles category as well. This raises our International Badminton medals tally for 2016/17 from 16 to 19 medals! We are incredibly proud of our champions. Amar Kumar Santra lost his eyesight in 2013, when he met with an accident. Only in 2016 did he start training with us, under our Para Swimming Coach, Bholanath Dalui. Within a year of his embarking in the sport, he showed up at the National Para Swimming Championships and bagged one Gold medal in the 200 metre Individual Medley event, and two silvers in the 100 metre and 50 metre freestyle events. His sincerity in training has brought him a great distance forward within such a short span of time, and we believe that he will soon turn into an excellent International Performer. The badminton athletes who were sponsored about by our Foundation, won SEVEN MEDALS at the Asian Para Badminton Championship held in Beijing, China, in November 2016. Adding these 7 to the 9 International medals won by them over the course of this year sums up to a whopping 16 International medals in one year. India truly is en-route to the top of the table at Para Sports. Mark Dharmai won 1 Gold, 1 Silver and 1 Bronze medal in the SS6 Category. Manoj Sarkar won 1 Gold and 1 Bronze medal in the SL3 Category. Anand Kumar won 1 Bronze medal in the SL4 Category. Sukant Kadam won 1 Bronze medal in the SL4 Category. A Skill Development Centre has also been established by Border Security Force in collaboration with the Adtya Mehta Foundation at BSF Training Centre, Chawla. This Skill Development Centre will be the organization’s first big step towards its vision to make India the World’s best country in Para-Sports. It will be a place where any person with a disability can make his dreams come true. The 6th Asian Para-Cycling Championship was held in Bahrain in the month of February and we are glad to share with you that 3 of our athletes occupied the first 3 spots in the 12.8 km Individual Time Trial on the opening day of the championship. 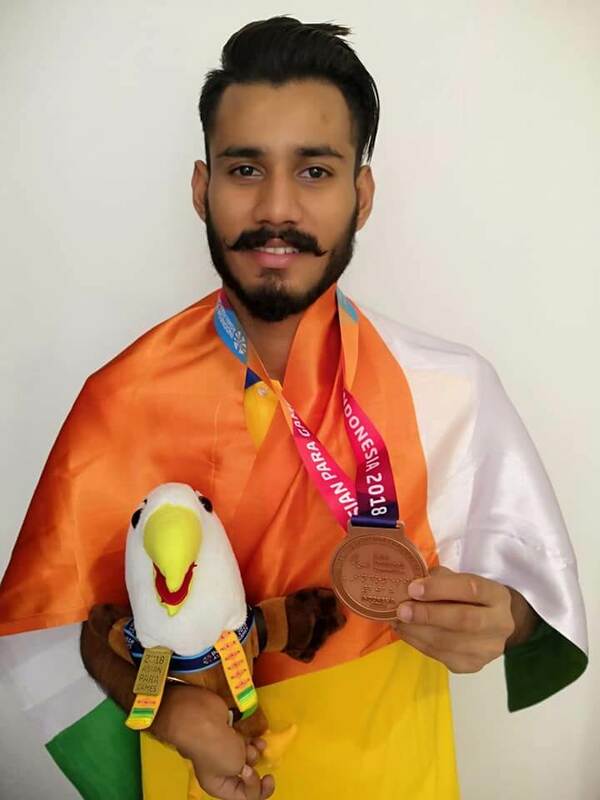 Abhishek Singh Sheku(25) won the gold medal while 25-year-old Divij Shah and 27-year-old, Harinder Singh, secured the silver and bronze medal respectively. All of them train at the Aditya Mehta Foundation. Infact, Aditya Mehta himself was among the eight that represented India in the championships. It feels good rather, boosts you up when your work is appreciated. And so we are here appreciating Team AMF for their exceptional performance at the Irish Para Badminton Internationals. All the winners-Anand Kumar, Mark Dharmai, Manoj Sarkar and Girish Sharma were felicitated by our guests for the evening Shilpa Reddy, Regina Cassandra, Shri A Dinakar Babu (Managing Director, Sports Authority of Telangana State) and Shri Vijay Bhatia(Head, Inorbit Cyberabad). We have counselled more than 200 jawaans of the para-military forces and inspired a majority of them to take up sports. National level training camp was held in regards to the same which saw the participation of more than 50 persons with various disabilities. They were trained in more than half a dozen of para-sports by National para-sports champions with commendable world rankings. Further, these officials are going to get trained for a considerable amount of time under the same coaches for enabling them to participate in National Championships. Indian flag rises high at Ireland! Aditya Mehta Foundation proudly announces its team’s victory at the Irish Para Badminton Internationals. Three bronze by Anand Kumar, one bronze & one silver by Manoj Sarkar and one bronze by Mark Dharmai closes India’s account with a good six medals. Way to go Champions! 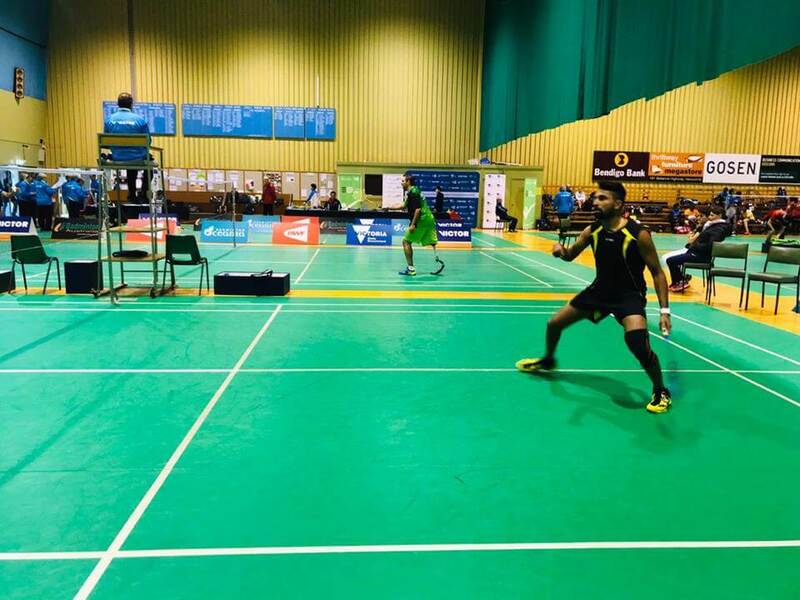 In October 2015 two of our para- athletes – Anand Kumar and Girish Sharma won 2 gold medals and one silver medal, respectively, at First Peru Para-badminton Championship. Girish played badminton in a specialised wheel chair that AMF provided him with the funds raised by Infinity Ride 2015. This was the first time he was playing with a special customised wheel chair. He previously won several medals in the standing category, but this was his first attempt with a specialised wheel chair. We heartily congratulate Anand and Girish Sharma who have brought accolades to our nation.